Using the standard GEANT4 code, we calculated the ionization rate of the Mars atmosphere and the dose absorbed by the planet’s soil caused by the galactic cosmic rays and the anomalous cosmic ray component in the heliosphere. 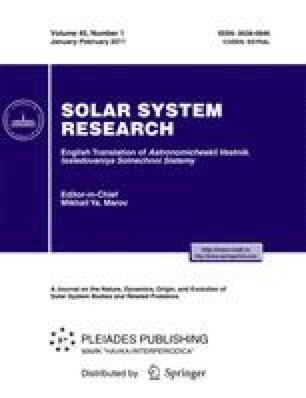 Cases of the solar system passing through dense molecular clouds leading to an increase of the energetic particle flux at the orbit of Mars and cases of thickness variation of the atmosphere itself are considered. Original Russian Text © A.K. Pavlov, V.M. Ostryakov, G.I. Vasilyev, 2011, published in Astronomicheskii Vestnik, 2011, Vol. 45, No. 1, pp. 32–35.